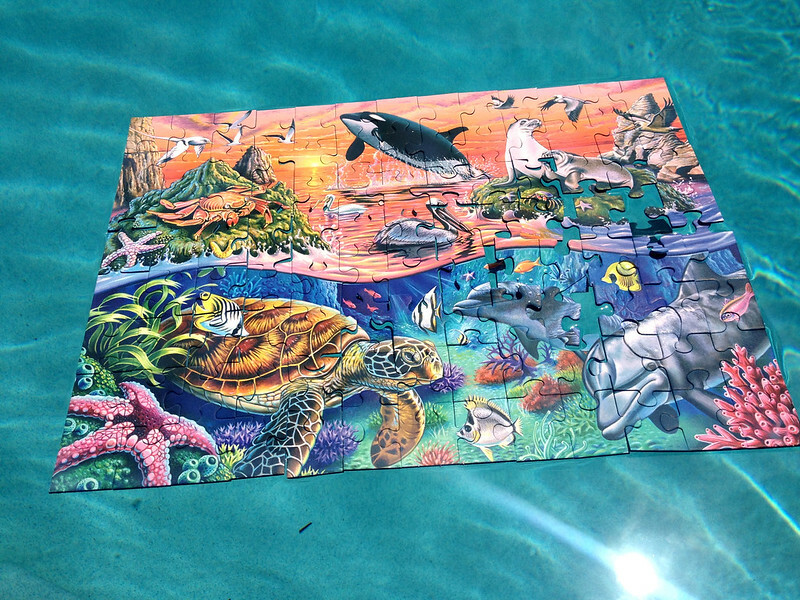 We decided to get a kit of Neverwet and see if we could do a puzzle in the pool. Well, results were mixed. We were able to float our puzzle in the pool, but I did a piss poor job of sealing the sides of pieces so they eventually soaked up water. The Neverwet IS cool stuff though. Super Hydrophobic surfaces are really neat to play with! I think there are some amazing potential applications! I also spent about 5 hours rebuilding the puzzle table to extend it a foot to accomdate 9000 piece puzzles at once. The first ever floating puzzle?